" It chills me out"
"It gets me ready for the day"
You might think it's hard to stop when everyone around you still seems to smoke but every year thousands of people go smoke free and you can too. Nothing to lose and everything to gain. 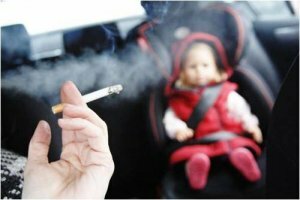 As from 1st October 2015 a new legislation under smokefree laws would make it an offence to smoke or to fail to prevent smoking in a private vehicle with someone under the age of 18 present. The regulations do not apply to a driver on their own in a car. 10 minutes in a car with a smoker boost pollutants by 30% - keep your car smoke free. Second hand smoke can stay around up to 2 hours after smoking. The fumes are invisible and stay on carpet, children's toys, bed linen and curtains, or on pets fur - keep your house and car smoke free. Blaby District's population of smokers is 17.2% estimated 12,807. 1163 access services. Smoking can cause cancer, lung disease, amputation, heart attacks, stroke, infertility, impotence and other health related conditions. 1 in 4 smokers believe that hand rolling tobacco poses less risk of a health risk than manufactured cigarettes. Roll ups are just as harmful. They contain CADMIUM - found in batteries, BENZENE - a type of fuel, CYANIDE - an industrial pollutant, FORMALDEHYDE - preserves dead bodies, AMMONIA - used in cleaning chemicals to name a few. 20 minutes - your blood pressure and pulse rate go back to normal. Circulation improves, especially in your hands and feet. 24 hours - your body will be clear of carbon monoxide and your lungs will start to clear some of the waste material from smoking. 48 hours - you will be able to taste and smell things better and you will be able to breathe more easily. 72 hours - your breathing is easier, you have more energy. 2-12 weeks - circulation is now improved throughout your body. It's easier for you to walk and exercise now. 3-9 months - your lung efficiency is up by 5-10%. Breathing problems are fading away. Say goodbye to coughing, shortness of breath and wheezing. 5 years - you know have only half the chance of getting a heart attack compared to a smoker. 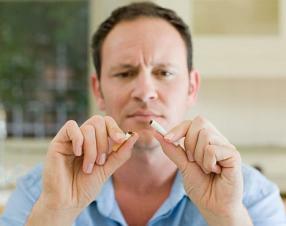 10 years - the chance of you getting lung cancer is now half that of a smoker. Your chances of having a heart attack are now the same as someone who's never smoked. Identify what triggers are going to start you reaching for a cigarette - what can you do instead? Avoid drinking and social situations where you may be tempted to start again. Get rid of cigarettes and ashtrays in the house. Use family, friends for support. Use Nicotine replacement products to help with withdrawal symptoms. Save your pennies in a peggy bank or jar - reward yourself with a gift for doing well. Be positive - you can do it. 'Staying switched' leaflet from University of East Anglia's (UEA). This gives practical, simple advice to vapers on how to stay stopped from smoking (relapse prevention), and has been developed in partnership between UEA as part of CRUK funded research, the National Centre for Smoking Cessation and Training and the New Nicotine Alliance.